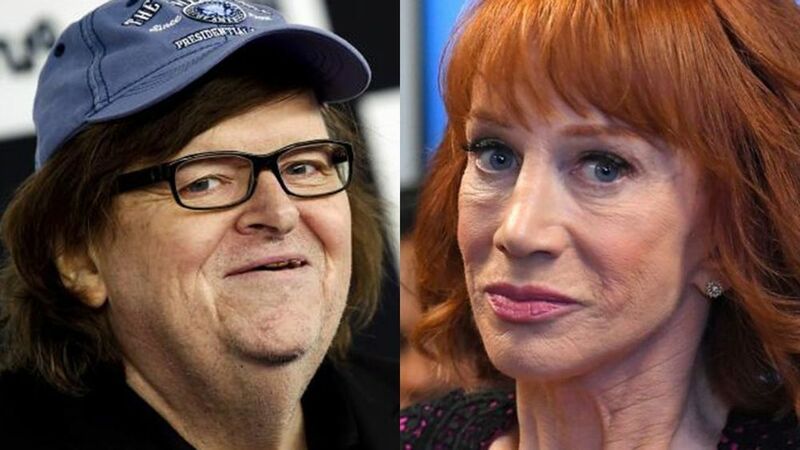 BREAKING NEWS – New York City, New York – Kathy Griffin had some sharp words for Michael Moore, after “Fahrenheit 11/9” filmmaker implored the left to “Stop hoping & start acting!” And after that, it really got heated. In a tweet, Moore made an apparent reference to Supreme Court nominee Brett Kavanaugh, who became the subject of an FBI investigation due to a sexual misconduct accusation leveled against him by Christine Blasey Ford. “Five days ago Dems & ‘liberals’ did the same old thing, claiming some empty ‘victory’ when Flake feigned shame, and then foolishly placing their hopes in the FBI – THE FBI! – doing an ‘investigation,’” Moore wrote. “When is our side going to wake up and start FIGHTING? Stop hoping & start acting!” he added. Michael…WE LOST What more could we have done? We don’t have the Senate or the Presidency. What more can we do for god sakes? We should focus on the midterms but stop criticizing without a real world solution. And frankly what were you doing? “Who are you to question me, you unfunny ghoulish looking zombie! Maybe you ought to stay out of politics, and try to sell out a venue to your few fans (with most of them being your past plastic surgeons) that enjoys your recycled jokes!!!!!! !